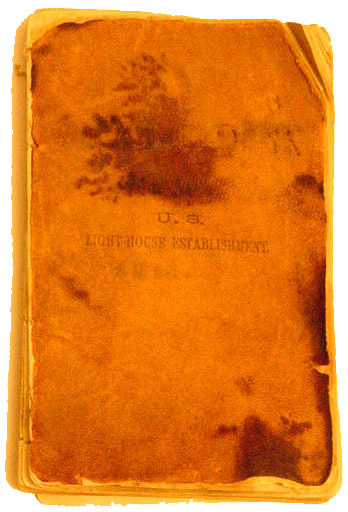 Front cover of the U.S. Lighthouse Establishment Lighthouse Tender Log Book from the U.S.S. Amaranth. This is a log book from the lighthouse tender U.S.S. Amaranth which serviced lighthouses in the 10th District of the Lighthouse Service. Log books were kept up to date with current information, travels and notes of work performed at different stations. 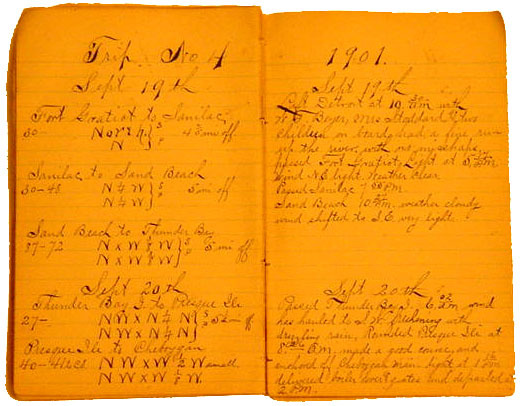 Notes in the log book denotes arrival and departure times, lighthouse passed, weather conditions and other relevant information. Notes on when and where service personnel were dropped off to perform work related tasks and picked up later that day are noted in the log book. Just like a lighthouse station all information was to be recorded not only to prove the work they did but to see how long it took for future reference. 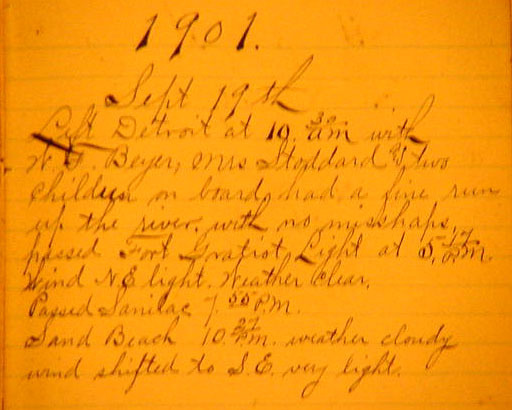 "Left Detroit at 10:30 A.M. with W.J Beyer, Mrs. Stoddard and two children on board, had a fine run up the river with no mishaps, passed Fort Gratiot Light at 5:17 P.M. Wind N.E. light, weather clear. Passed Sanilac 7:55 P.M., Sand Beach 10:27 P.M., weather cloudy, wind shifted to the S.E., very light." Close up of view of the open log book showing the journal entries. Close up view of the log book page. Sample translated in the text on the upper right of this page.